The 1940s began with the darkness of World War II and ended with an air cautious optimism as people threw off the shackles of conflict and emerged blinking into a new world. This was a time of post-war austerity for many, but it also provided the opportunity for change and innovation, setting the tone for the decades that followed. As you’ll see from our list, many car manufacturers ceased production of cars for the duration of the war, either to help the war effort or as a result of the disruption caused. When the war ended, this led to all sorts of interesting designs and tweaks in order to make use of part-finished pre-war concepts. Below are the crème de la crème of 1940s supercars for your delectation. Let us know which one’s your favourite and why in the comments. The Maserati A6 makes this list as much for its looks as for performance. The platform came available with a 1.5 straight-six engine, putting out a tiny-by-today’s-standards-but-a-lot-back-then 65bhp. This was phased out in 1950, when a new 2l six-pot was fitted, generating a heady 120bhp considering the weight of a two-seater A6 was just 630kg. The A6 was named for the company’s founder, Alfieri, while the 6 derives not from the number of gears (of which there are 4) but from the number of cylinders. The car’s classic long-bonnet, sleek lines Italian combo would go on to form the basis of coach-built works from the likes of Pininfarina, Bertone and Zagato – who you may have heard of. Despite the miniscule weight, the A6 was sold as a grand tourer, more for cruising through Alpine tunnels than round the banking at Monza. The roads were pretty empty back then, and I can’t think of a better way to lope across the Italian countryside than in one of these beauties. Competition drives innovation, and Triumph’s challenger to the XK120’s crown is proof that a bit of healthy sparring between car manufacturers can yield some spectacular shapes. The roadster has the Cruella Deville proportions that would make it a terrifying sight to anyone out for a quiet Sunday stroll with their Dalmatian along a back road in late-40s England. Designed just at the War was ending in 1944, the Roadster was offered at launch with a 1.8-litre four-cylinder engine based on a pre-War 1.5-litre (which, cheekily, had been designed initially to go in Triumph’s competing Jags) but converted to run with overhead valves as opposed to side-fitted valves. The Roadster was not well received by critics at the time, and with a 0-60 time of 34.4 seconds and a top speed of 75mph, it’s easy to see how their criticisms could be justified. While the motoring press panned not only the performance but the looks; the swooping wings, googly headlamps and indented radiator grille, I think Triumph’s answer to Jag’s utter dominance of the British sportscar scene at the time has aged rather well, in a cartoonish, caricature sort of fashion. The 166, so named for the displacement of a single cylinder in its 2-litre V12 engine, has all the classic characteristics of an early-20th century sports car. Wire wheels, rear-wheel-drive, 2 seats perched behind a long bonnet containing a 2.0-litre, 140bhp V12 engine. 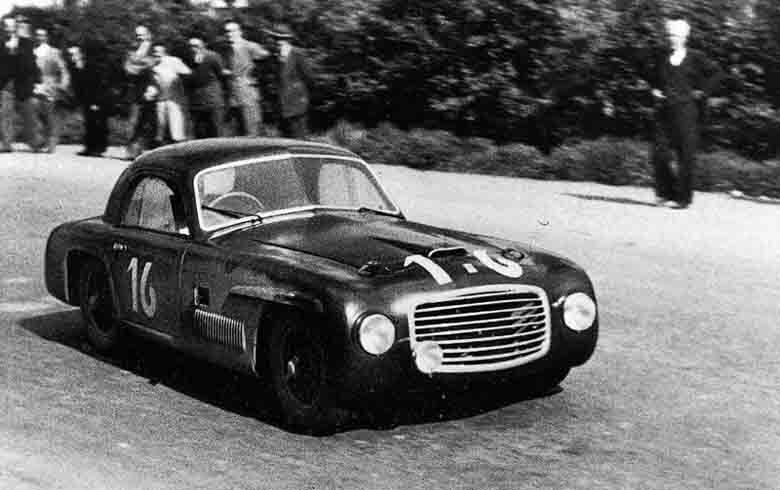 Designer Carlo Felice Bianchi Anderloni aimed to give Ferrari a face with the 166 MM which raced at Mille Miglia in 1949 – hoping that when the cars lined up to start the race they would be unmistakably Ferraris. His work clearly paid off, as the evolution from this to F12 and all front-engine, rear-drive Ferraris in between – as well as the designs of countless other manufacturers. Performance-wise the 166 wasn’t too shabby either; in that same Mille Miglia in 1949 it came home in first and second place, going on to triumph at Le Mans later that year. 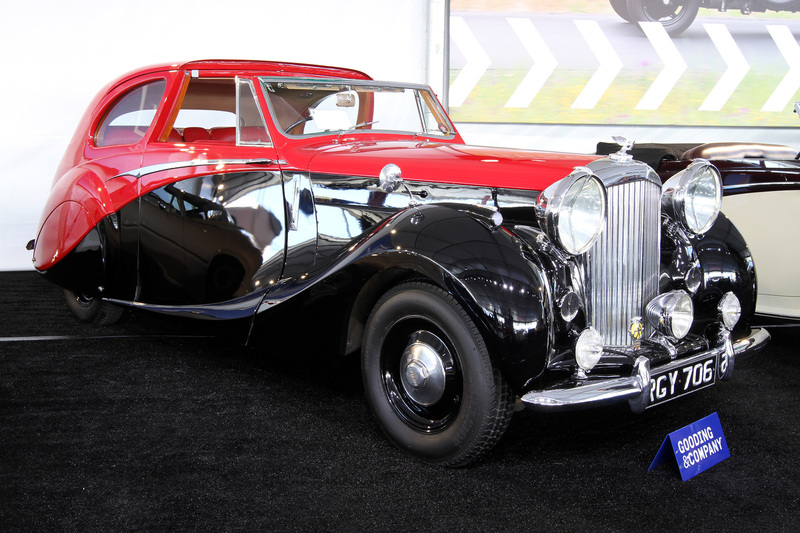 With Bentley originally intending to launch their 4¼-litre Mark V in 1939, production of the car was halted prematurely after War was declared in September that year – Bentley ceased to produce civilian goods in order to help the war effort. As a result, Mark Vs are staggeringly rare. In those early years of the war, only 11 examples were thought to have been produced, and these were all sold as bare chassis for owners’ coachbuilders to customize, sending exclusivity through the roof. This last Bentley to be built at the marque’s Derby factory was also the first to utilize independent front suspension in place of previous models’ leaf-sprung layouts. 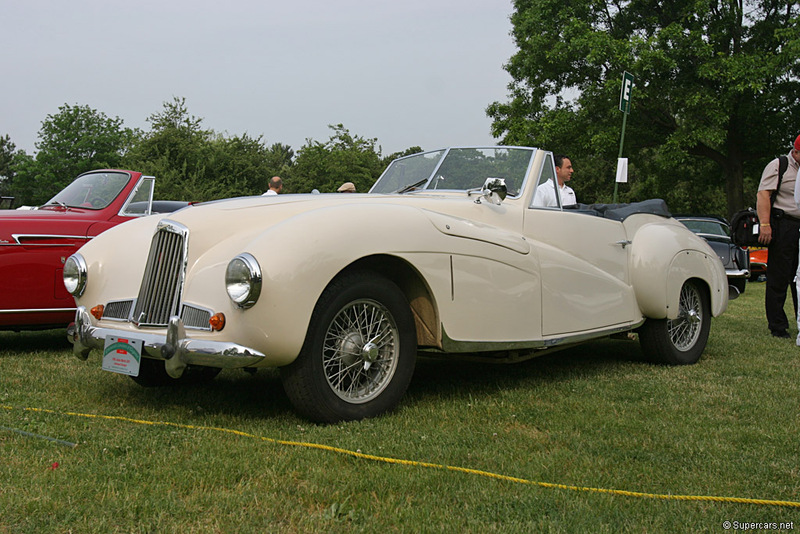 Also known as the DB1, the 2-litre sports was designed by Claude Hill during World War II. 15 examples were produced between 1948 and 1950 under the watch of the company’s then-new owner, David Brown, creating a mold from which pretty much all Astons since have been cut in some way. The two-seat sports car’s tube-framed chassis and inline-4 engine were both derived from a pre-war fully-functional concept car called the Atom. While the DB1 had slightly larger proportions than this early iteration, it still managed to tip the scales at around 1,100kg, meaning that the 90hp motor was more than enough to give it a spritely character. Fans of the marque, regularly voted coolest brand in the world, will recognize the iconic Aston Martin 3-part grille which has adorned virtually every Aston Martin since in one form or another. The top speed of 93mph may not be anything to shout about these days, but the DB1 should be given proper reverence for the bloodline that it spawned. 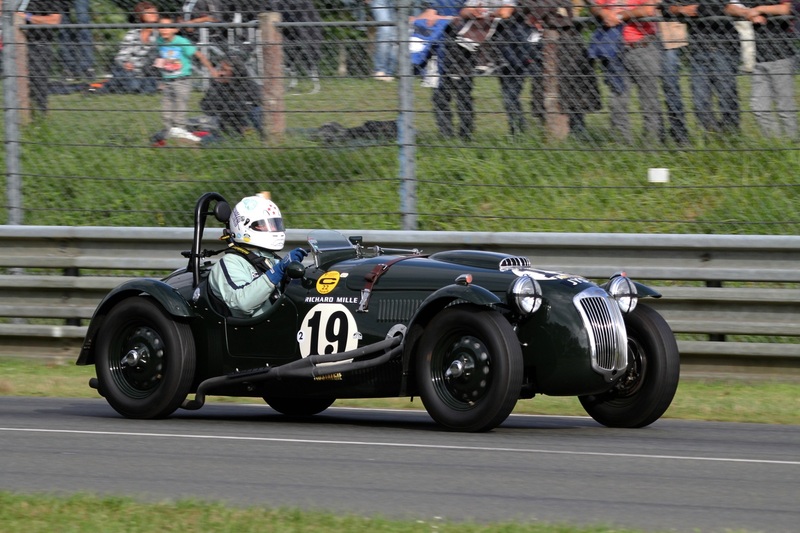 What do you get if you take a 2-litre Bristol engine, add it to a chassis derived from a BMW 328 and then add 40bhp and a sprinkling of Le Mans success? An opportunity to sell a very fast car to a select few with large wallets. The Frazer Nash Le Mans replicas would be quick even today; 120bhp from the in-line six gave the Middlesex-based manufacturer’s flagship a 0-60 time of 7.5 seconds – not quite up to today’s supercar standards but still enough to keep up with a stock Toyota GT-86. 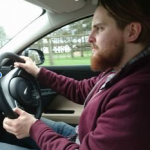 It’s no surprise that many of the ‘40s motoring elite would elect to wear flight goggles behind the wheel – that sort of performance combined with stylish, tiny windscreen can make the eyes a wee bit nippy. Alfa Romeo was one of the few European manufacturers to maintain some level of production throughout the War, helping cement their status a purveyors of powerful and extremely pretty cars, which made no compromise in pursuit of style and speed. The 6C 2500 is the absolute essence of that spirit, sold in various trims and states of tune with a 2.5-litre power plant. 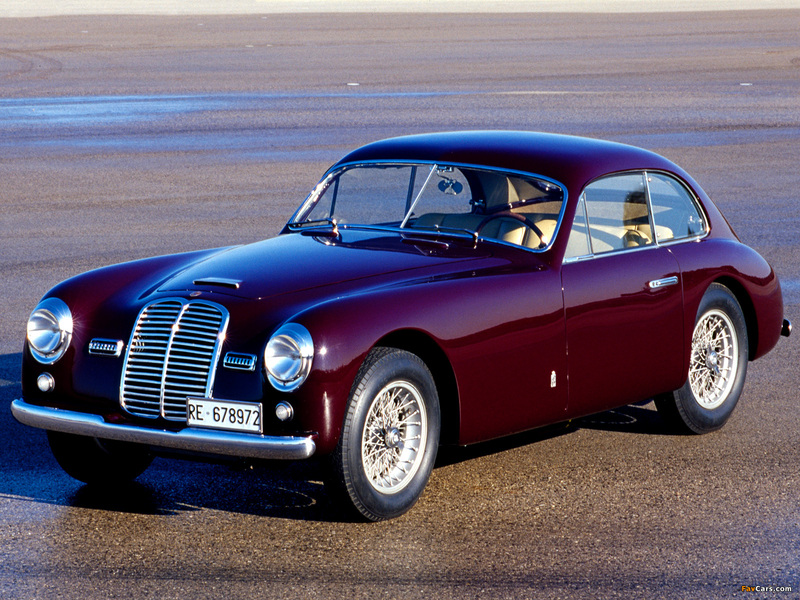 My pick of the bunch would be the 1948 6C Competizione, which was capable of reaching top speeds of up to 124 mph thanks to 145bhp from its triple-carb iteration of the in-line 6. 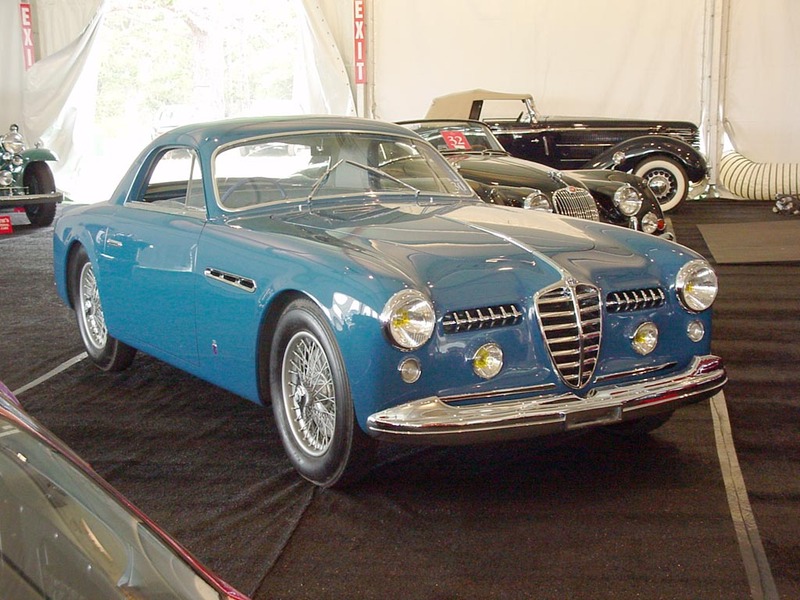 Even just looking at pictures of the 6C, you get the sense that it simply oozes Italian charm. It’s got the typical Alfa quad-headlamps and the sort of sleek lines that only look at home in the car park of an Italian casino, keys handed to its owner by the valet before tearing its way up an alpine pass. Some things never change. BMW entered the sports car fray with their front-engine, rear-wheel-drive 335 in 1939, producing over 400 between its inception and 1941. Looking at the 40s cars’ modern-day ancestor, it’s clear to see a lot has changed in the years since the 40s, but the 335 badge endures in a BMW range that’s seen seemingly endless niche upon niche added, tweaked or removed. 3.5-litre straight-six at the front, luxury cabin in the middle and power sent to the back has proven a strong formula for the German manufacturer. The original 335 of the 30s and 40s had just 90bhp, allowing it to reach a not astronomical 90mph – less powerful than many competitors of the time – but full power output was available from just 3500rpm, making for a spritely and useful bit of poke which was consistently at the disposal of the driver. 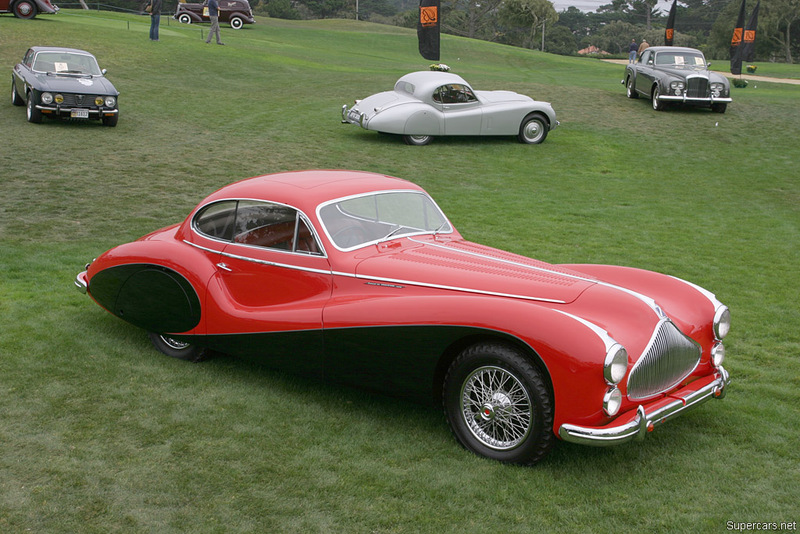 Talbot Lago introduced their entry to the post-war supercar scene in 1947. Based on a shortened platform of their T26 Record exec-saloon, the Grand Sport was an altogether more focused proposition. Its 4.5-litre inline-six produced between 170 and 190bhp depending on the state of tune – a huge output for the time – which propelled it to 60 mph in around 8 seconds and on to a claimed top speed of 124mph. This power was sent through the rear wheels, which were often hidden beneath the aerodynamic teardrop bodywork favoured by coachbuilders at the time. 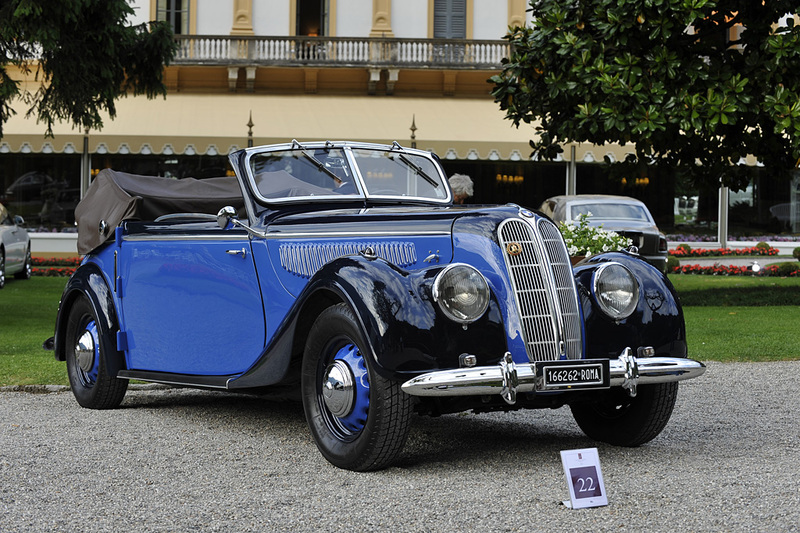 The T26 GS carried over the team’s experience in grand prix racing, giving the Talbot-Lago the edge over much of the competition on the road. In the right hands it could show a clean pair of heels to just about anything else available in its day. Commonly thought of as the first ever true Porsche model, the 356 famously owes a lot to the Beetle that went before it – air-cooled four-cylinder engine at the back sending power to the rear wheels and defining the shape from the start. Suspension and gearbox were also carried over from the little VW, though the 356 added a more sporting flavour to proceedings. 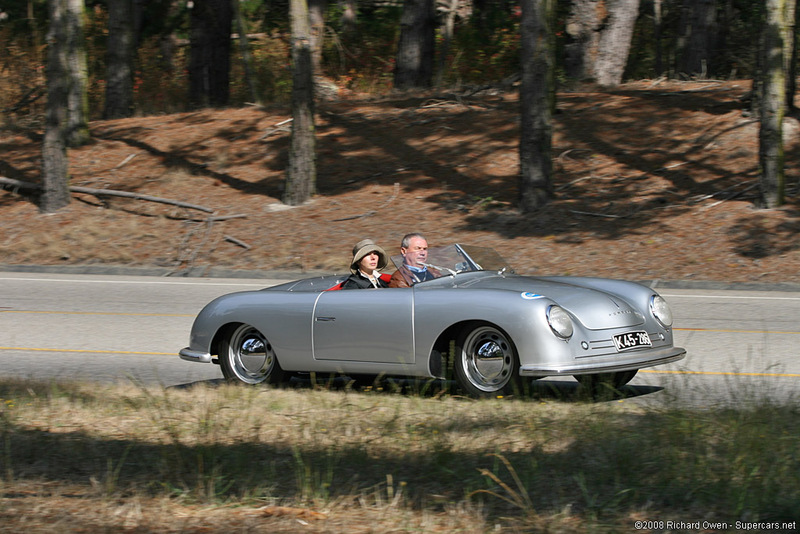 Porsche never gave up on the formula, and the 356’s lineage can be traced through all 911s that have graced us since. Since then, a lot has changed – electric steering has taken the place of traditional technology where the front wheels share a physical connection with the steering wheel, the air-cooled engines have been replaced by more efficient turbocharged offerings, and much of today’s lineup is now available with 4wd – but the relationship between this granddaddy and today’s rear-engined 991s is clear. The 356 of the ‘40s didn’t create much of a stir, but this plucky sports car with it’s engine out the back caused huge ripples which grew into enormous, rear-engined waves which play a major part in defining the shape of the supercar scene today. Arguably setting the standard for sports cars for at least the the coming decade, the Jaguar XK120 teamed aluminium (a material Jaguar is still champion in the market to this day) with ash wood frames in early 120s, creating a very light front-engined roadster. 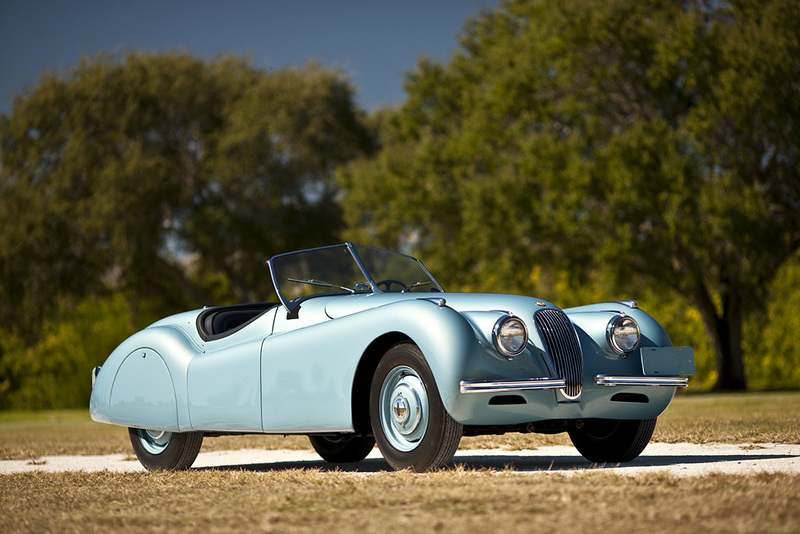 The 3.4-litre straight-six engine fitted to ‘40s XKs produced up to 160bhp with the right fuel. UK cars ran a lower compression ratio, owing to post-war austerity – fuel sold at the pumps here was just 70 octane – while overseas models could make the most of higher octane go-juice. Jag were very proud of their creation, shipping journalists and test drivers to Belgium in 1949 where, with some slight aerodynamic mods, an XK120 was seen to reach speeds of 132mph on the flying mile – making it one of the fastest cars of the period. The Lagonda 2.6-litre was an altogether bulkier affair than many of the supercars of the day, going after a market which valued comfort over cornering ability but still enjoyed the luxuries that speed could offer. The 2.6-litre’s underpinnings came from a pre-war concept, resurrected by new owner David Brown who’s other recent acquisitions included Aston Martin. The 125bhp straight-6 helped the Lagonda power its trademark rear-luggage-overhang from 0-60 mph in 17.6 seconds, endowing it with an impressive turn of speed for its size. At around £3,500 it was one of the most expensive cars of its time but that didn’t stop Lagonda from selling over 500 between 1948 and 1953. The Lagonda marque falls in and out of favour with its owners Aston Martin, most recently enjoying a brief revival at the 2009 Geneva Motor Show where it appeared on the bonnet of an SUV concept that never made mass-production. The company values of comfortable speed still rang true in this concept, though the design shared few features with the Lagondas built 60 years previously, save perhaps for the accentuated luggage compartment. Cisitalia took the idea of coach building to a new level. One of their first post-war ventures, the D46, was a racing car built mostly from Fiat parts – a 70bhp engine from the Italian manufacturer was placed in a body that weighed just 400kg. It wasn’t until the 1947 iteration of the 202 that the company really started to rise to fame. The company handed their innovative space frame chassis to Pinin Farina who styled a handcrafted one-piece aluminium bodyshell, incorporating features like lights into the sleek design – commonplace nowadays but back then groundbreaking stuff. 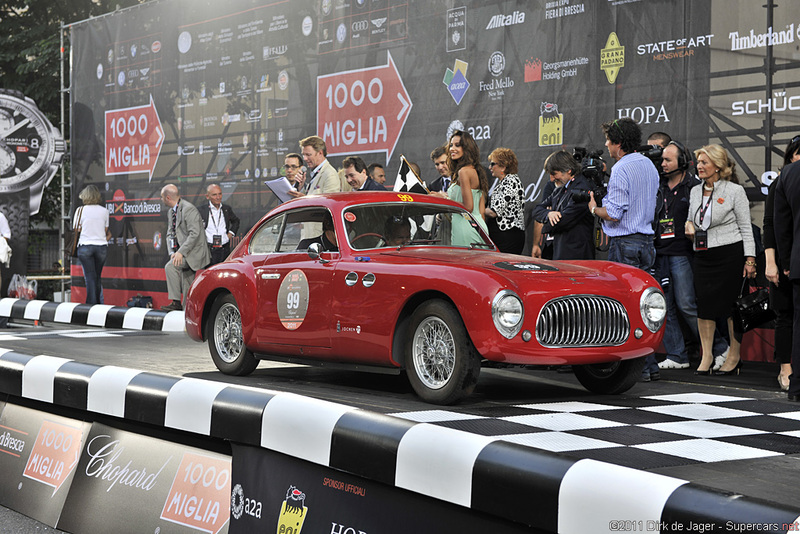 This original 202 was difficult to mass-produce owing to it being hand built. A dedicated team at Cisitalia (with one Karl Abarth among them) took it upon themselves to construct over 200 202 MMs’ to meet demand. While only around 200 Cisitalias were made their design influence can still be seen in the cars produced by major European manufacturers to this day. If you were in the market for a 1940s supercar, which one of these would you choose? Tell us about your decision in the comments below!